The prices of the six sold range from 355K – 805K. There was one Short Sale that sold for 600K that is located on North Boulder Canyon Place. 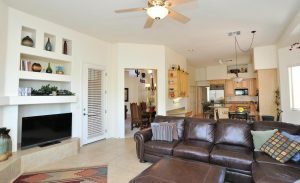 There are 2 homes under contract: one on North Ocotillo Canyon with a List Price of $479,900 and another that is on North Quail Canyon that is listed for sale for $1,150,000. Final Sales Prices on these two will not be known until they close escrow. 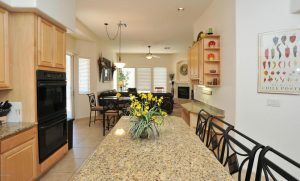 If you are thinking of selling your Sabino Mountain home contact me: Donna at 520-615-2598 or email me at Donna@DonnaAnderson.com. 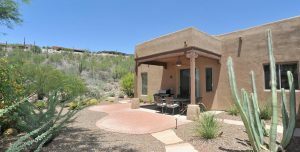 4195 N Boulder Canyon Place that was listed by Keller Williams Southern Arizona just sold for 600K. This over 3,600 square foot Outpost Builders home has both a Casita and a Spool. This was a Short Sale so sold below the market. It only took a few days for 4129 N Ocotillo Canyon Drive to go under contract: the list price is $479,900 – $519,900. It was sold by the Long Realty agent who originally sold the house to the Sellers. This Pepper Viner built semi-custom one-story home boasts a three car garage and the 2,604 square foot home includes an extra bedroom and full bathroom off the kitchen that the non-semi custom home does not have. It is a modification of a popular Pepper Viner floorplan that has both a family and a great room and has 4 bedrooms on one side with the builder option of a sitting room off the master bedroom instead of a 4th bedroom. Other differences from the non-semi-custom floorplan include that this one has a flat roof and a slider off the breakfast nook. The outside recreation is mostly on the side vs. the other homes having it more in the backyard. This section of Ocotillo Canyon is quiet and has no homes across the street; additionally it is near the end of the street with much less traffic. That it sold so quickly is a good sign. It last sold for 400K eight years ago and it does not look like many upgrades were made since it last sold; appliances look the same, etc. There is a fairly new roof installed and new air conditioners and heating units but cosmetically it appears to be about the same. Most of the houses that have sold recently have showed little or no appreciation so if this sells at or close to the list price this may be the first sign that prices are starting to appreciate and sell quicker as well. Of course, alternatively there could have just been a buyer ready, willing and able in the wings. Let’s hope for the former conclusion–time will tell! Click on the address in the first paragraph to see the additional photos and additional information on this home for sale. 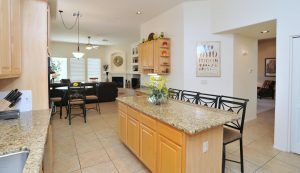 If you are thinking of selling, I am an email or a phone call away: Donna@DonnaAnderson.com or call at 520-615-2598. I have sold 15 in our community and have resided here for 14 years. You are currently browsing the Sabino Mountain Blog blog archives for July, 2018.